Core strength is an integral component of any fitness regime: it is key to the body functioning because it supports almost every movement and position. Core exercises train muscles in your pelvis, lower back, hips and abdominals. If you follow this core routine on a consistent basis you will see improvements to balance and stability, supporting everyday movement and functions. Core exercises can strengthen and tone the underlying muscles, but if it’s more defined and ‘ripped’ abdominal muscles you’re after, the exercises below are still important, but it will take additional aerobic/HIT-type activity to burn abdominal fat and create more definition. 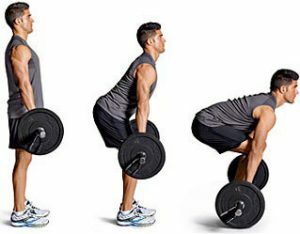 Deadlifts target all the main muscles groups responsible for correct posture and core strength. The glute bridge helps target all our posterior muscles and core. It is one of the best exercises to improve posture imbalance, help lessen back pain and improve core strength. Once reaching the highest position, there will be a straight line running down from your knees all the way to your shoulders. 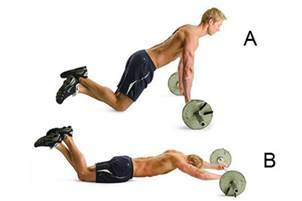 Ab rollouts mainly focus on the abdominal muscles. This exercise entails you bracing your abs tightly and keeping your core engaged. This an exercise which can be modified by rolling down to the point of comfort. The sit up is an abdominal exercise which supports the strengthen and toning of the abdominal muscles. It is a similar movement to a crunch, however during a sit up you have a greater range of motion, conditioning more abdominal muscles. Russian twists mainly target your obliques. It is a core exercise which involves all the core muscles, with the twist motion to work the muscles. The plank is a staple of any core routine as it engages multiple muscle groups simultaneously – an exercise that improves back pain, balance, posture and also flexibility. Hold this position over a continuous time period.